John M. Madison III is resident in the firm’s Baton Rouge office. 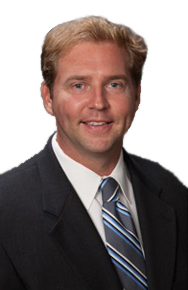 John has handled numerous complex construction cases throughout Mississippi and Louisiana. While he handles all aspects of construction litigation, John practices primarily in the areas of federal and state government projects and commercial projects along the Gulf Coast. He has extensive experience in litigation and alternative dispute resolution techniques. John represents large and small contractors on all aspects of federal and state procurement and contract issues. He has successfully defended and prosecuted multiple claims on behalf of project owners, general contractors, subcontractors, and material suppliers. John routinely provides legal advice to his construction clients regarding interpretation of construction contracts, claim preparation and dispute resolution and avoidance. John has been certified as a mediator. Law clerk to the Honorable John V. Parker, United States District Court for the Middle District of Louisiana. We serve clients throughout Louisiana including those in the following localities: Caddo Parish including Keithville, Shreveport, and Vivian; East Baton Rouge Parish including Baker, Baton Rouge, Central City, Greenwell Springs, Shenandoah, and Zachary; and Bossier Parish including Benton, Bossier City, and Haughton.